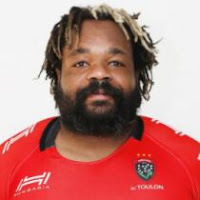 Mathieu Bastareaud's disgraceful forearm smash on the prone Christophe Samson - in the weekend's clash between Toulon and Castres - was nothing short of assault and battery. A lengthy ban must follow and in my humble opinion Bastareaud will be lucky if he escapes police action. And following his ban earlier this year for on-field homophobic abuse, the current French captain's candidacy for the Total Flanker Hall of Wazzocks is now firmly established.